Brush olive oil on the outside of 1 slice of bread. 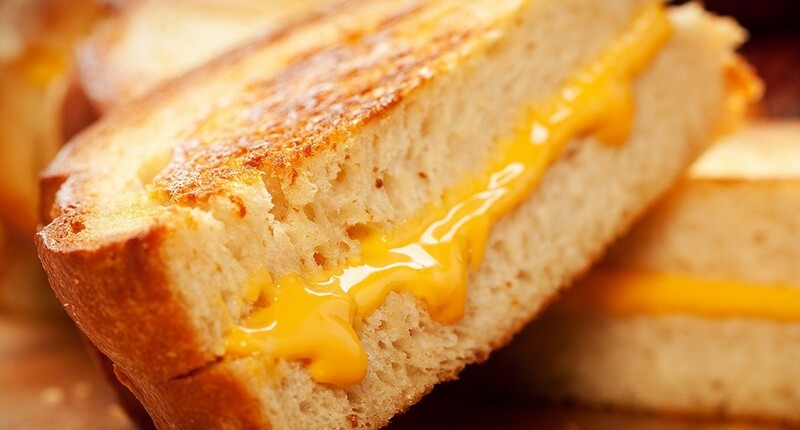 Add shredded cheddar cheese on top of the other slice of bread. Turn over and brush with olive oil and sprinkle with salt and pepper. Cook in a sauté pan over medium-low heat until golden, and flip and cook the other side until golden, for about 3-5 minutes per side.